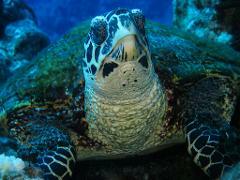 2 guided boat dives at different sites on Rarotonga's outer reef. Suitable for certified divers, Open Water and above. Boat is always manned. PADI qualified guides. 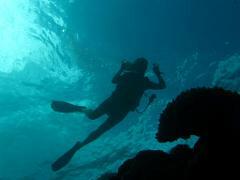 1 guided boat dive on Rarotonga's outer reef, usually conducted with the first dive of a 2 dive excursion. Suitable for certified divers, Open Water and above. Boat is always manned. PADI qualified guides. Experience Rarotonga's reef at night with us on a night dive. Head out as the sun is setting and dive one of our popular sites on the North or East side of the island. All equipment provided. Discover Scuba Diving in Rarotonga with this half day excursion. Lagoon training session and ocean dive included. 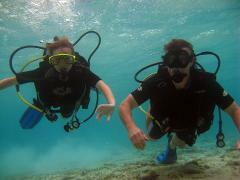 Fantastic way to have your first diving experience on the clear waters of Rarotonga's coral reef. Had a break from diving? Get back in to it with a Refresher programme to go over the skills you learned on your certification course. Includes a confined water skills review to make sure you are comfortable before you head out on a dive. Try diving in Rarotonga's shallow lagoon. Dive to depths of no more than 2m, within the Tikioki Marine Park. 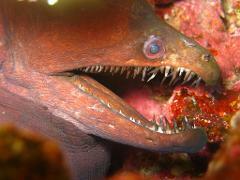 Lots of fish to see, a great way to experience scuba, in a safe, confined environment. Gain your PADI Divemaster qualification in the warm, clear waters of the tropical South Pacific with Pacific Divers, the Cook Islands only PADI 5 star instructor development dive centre.